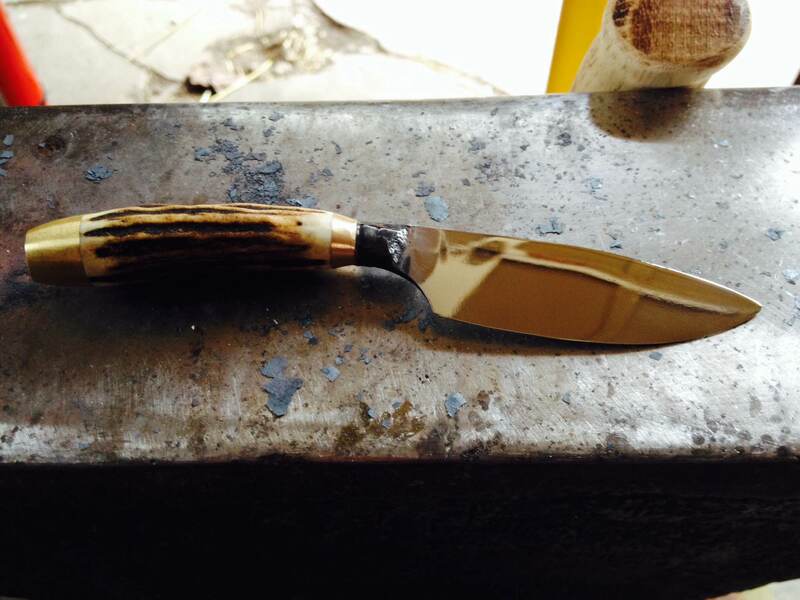 This entry was posted on November 4, 2013 at 3:21 am and is filed under Blacksmithing, Forging, knifemaking, metalwork, Tool Making with tags 52100, blacksmithing, bladesmithing, hand forged knife, stag handle. You can follow any responses to this entry through the RSS 2.0 feed. You can leave a response, or trackback from your own site. what a great job! that thing I beautiful. Thanks Steve – coming from you I really appreciate it. Your work is great stuff.